Upon leaving R.O.F. Kirkby Jim McCartney’s next job brought him back into Liverpool, to Everton where he had grown up. Unable to return to the Cotton Exchange for the duration of the war, he found work in the Cleansing Department of Liverpool Corporation as an inspector of refuse collectors, a position created to ensure that the dustmen did their jobs properly. A far cry from the Cotton business and no doubt not a job Jim relished, but with a wife and now two infant sons to look after it would make do for the time being. Mary had been at home looking after young Paul and Michael for the last two years and as a consequence of returning to Walton Hospital to give birth to both sons she realised how much she missed her former vocation. Perhaps also because they were short of money Mary too found work through the Liverpool Corporation, as a municipal midwife. 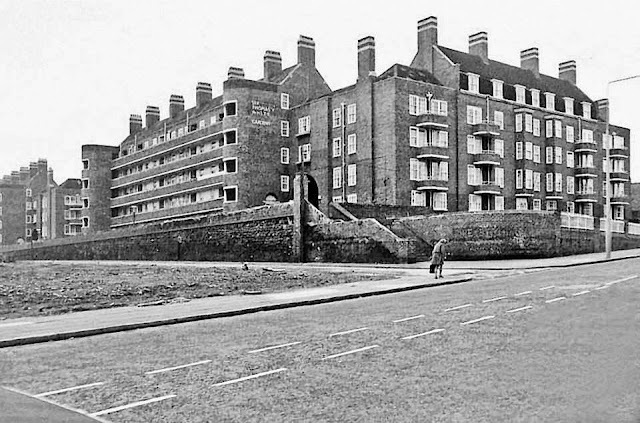 The job allowed her to work from home and brought the family a rented flat at 75 Sir Thomas White Gardens, a huge tenement block in St. Domingo Road. It was an exhausting, but rewarding job for Mary who needed to be on call at all hours of the day. The boys would see their mum leave the ground floor flat in her starched blue and white midwife’s uniform, a respected figure in the community while poor Jim continued with his dreary work , checking up on dustmen and waiting for the day that he could return to his proper trade. He may not have been an actual dustman, or had to wear their hat or ‘cor blimey trousers, but in any event here they were, living in a council flat. During the times when both Jim and Mary were out working, one of Jim’s sisters would step in and mind Paul and Mike. The tenements were only 5 years old when the McCartneys moved in. 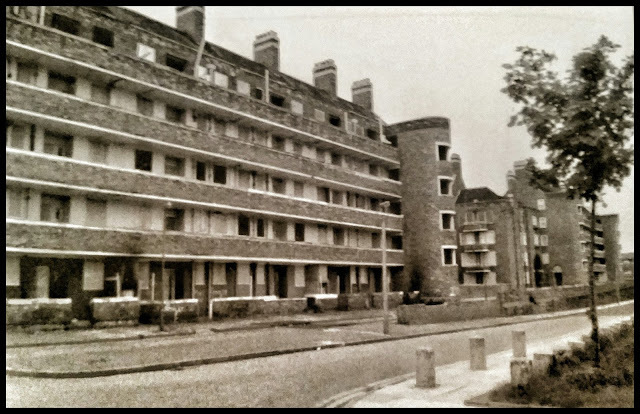 348 flats were built between 1938 and 1940 on the former site of St. Edward's College which had been established as a boarding school in 1848 in a large mansion called St. Domingo House (named after the Isle of San Domingo, where one George Campbell, a privateer and subsequently Mayor of Liverpool (1763–64) had prospered). 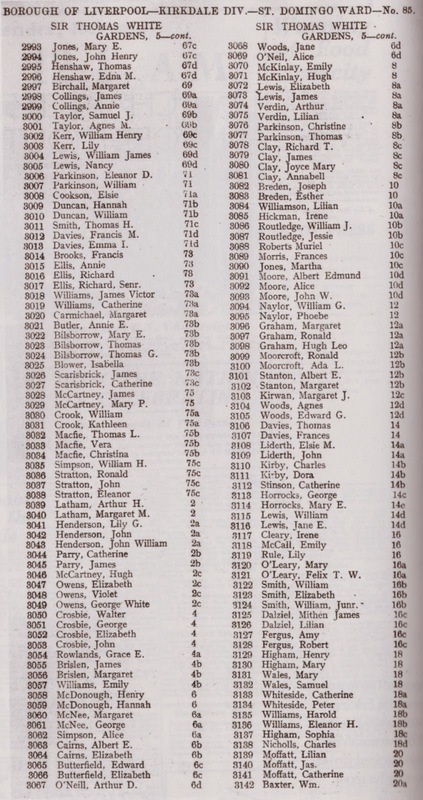 The Catholic population of Liverpool increased dramatically during the years of the Great Irish Famine (1845-52). It is believed that barely 5% of their children were receiving any education at the time the College was founded. At the same time, the coadjutor bishop of Liverpool, Alexander Goss (1814-72) saw the need for a cathedral to accommodate his swollen congregation and chose the grounds of St. Edward’s College. In 1853 Goss awarded the commission for the building of the new cathedral to Edward Welby Pugin (1833–1875). The Lady Chapel of the pro-cathedral was opened by Bishop Goss on 7 December 1856. However, with higher priority given to the building of new churches and the education of Catholic children, funds were diverted elsewhere and work on the building ceased at this point. 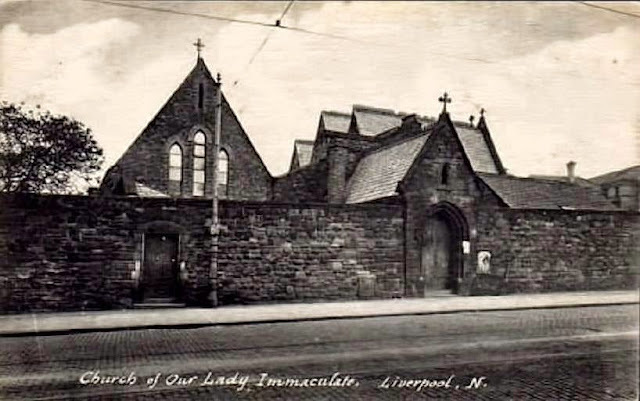 Instead, the Lady Chapel – now named Our Lady Immaculate – served as the parish church to the local Catholic population, one of whom no doubt was Mary McCartney, moving into St. Thomas White Gardens in 1945. 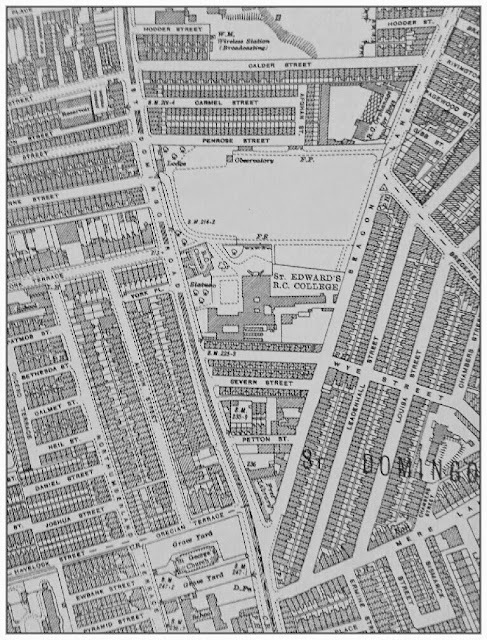 St. Edward’s relocated from St. Domingo Road to Sandfield Park in West Derby on 19 September 1938, an event which was marked by every pupil walking the 3 miles from Everton to the new site. Demolition of the college took place shortly afterwards and construction work commenced on the new tenements. Part of the original sandstone wall belonging to the college was incorporated into the surrounding wall of Sir Thomas White’s in Penrose Street and ironically is the only remnant of either building still in existence today. According to the Sir Thomas White Gardens' Facebook page the lady about to cross Penrose Street is Mrs Ringworm (photo circa 1973). Part of the large stone wall is still present today. As can be seen from the original design above, the new building had to accommodate the site of the existing church. 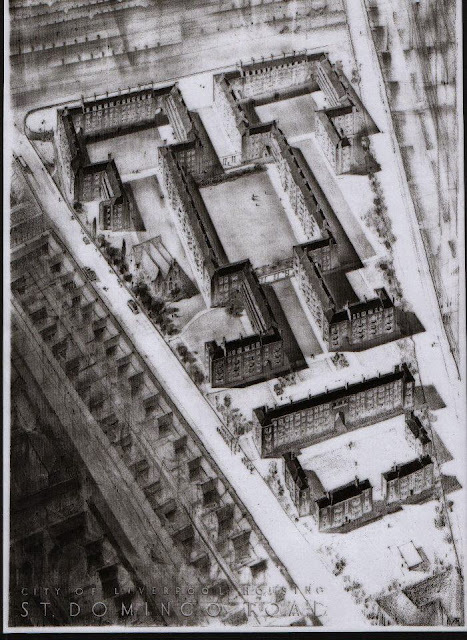 The plans were ultimately scaled back, presumably due to the outbreak of the Second World War, and the flats in the bottom right corner were never built. Sir Thomas White JP was a Liverpool Councillor who had began his working life as a cabin boy before building his career in the brewing trade. 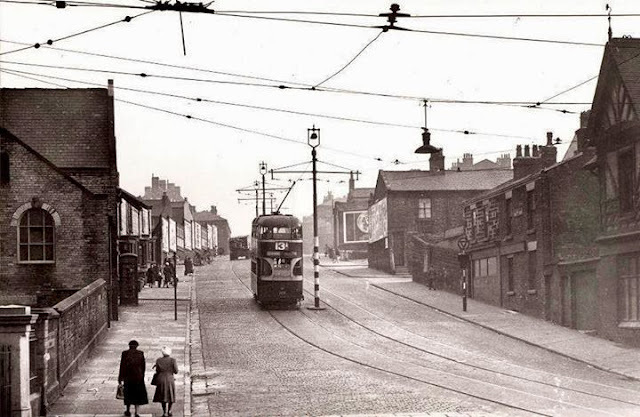 He entered local politics and became chairman of the Tramways and Electricity Committee and was later chairman of both the Liverpool Housing Committee and Speke Airport Development Committee. He died in 1938 and as a tribute the new housing development was named after him. 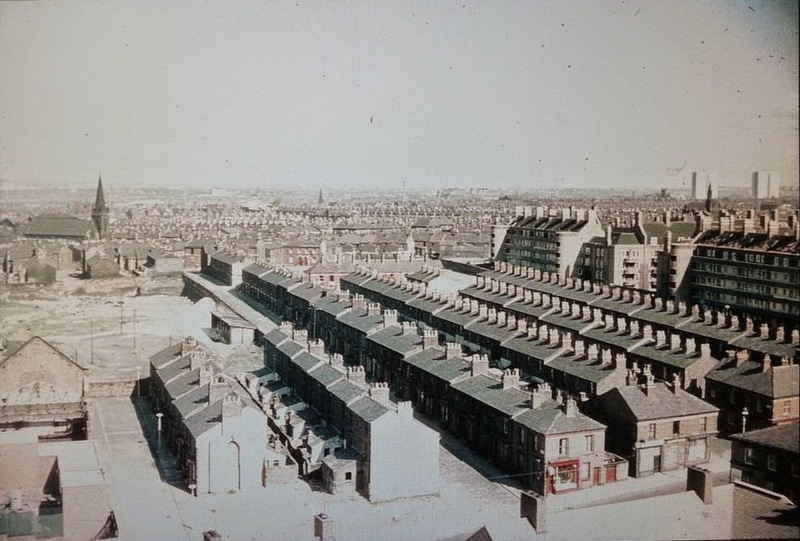 These tenement flats, like many in Liverpool, were built around wide communal squares and housed hundreds of people. Whilst Paul and Mike were barely there long enough to form any sort of attachment it is clear that those who lived there longer hold many fond memories. Whilst doing research for this blog I was surprised to discover a Facebook page set up and devoted to “Tommy Whites” and its former residents, all of whom, seemingly without exception recall their time there with great fondness and sentimentality. Clearly the tenants here shared strong bonds and a sense of community. 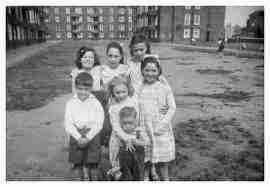 With Everton being one Liverpool’s poorest areas the families here may never have had much wealth to speak of but they looked after each other. The lady who has helped me out most with my research is Christina Smith another former resident from the Facebook page. One of the other members of the group posted the photograph above. The girl with her hand in her pocket is Christina’s sister and the little boy at the front is her brother. What’s remarkable here is that the photograph also shows the actual flat where the McCartneys lived. Christina confirms that the two ground floor windows on the bottom right hand side belong to number 75, and to the right of it is the “wonderfully historic Beacon Lane”. She adds “If you’ve never put a piece of wood on top of a set of pram wheels and hurtled down the Beacon Lane cobbles, you’ve never lived!”. To my knowledge, this is the first time the McCartney’s flat has been positively identified. Thanks Christina! 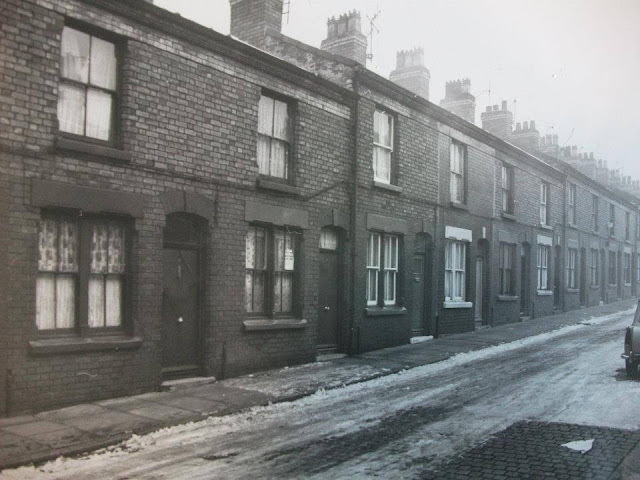 In August 1947 the McCartneys moved to South Liverpool, a first for any of them. Liverpool Corporation’s Municipal Midwifery Service needed a midwife living on the new housing estate in Speke. The job came with a rent free house, 72 Western Avenue, and Mary took the position. After two years in Tommy Whites, the McCartneys were on the move again. Paul himself seems unsure as the reason behind their move to Speke: I don’t know why; maybe she volunteered. Maybe she wanted to get a new house because a house came with the job. 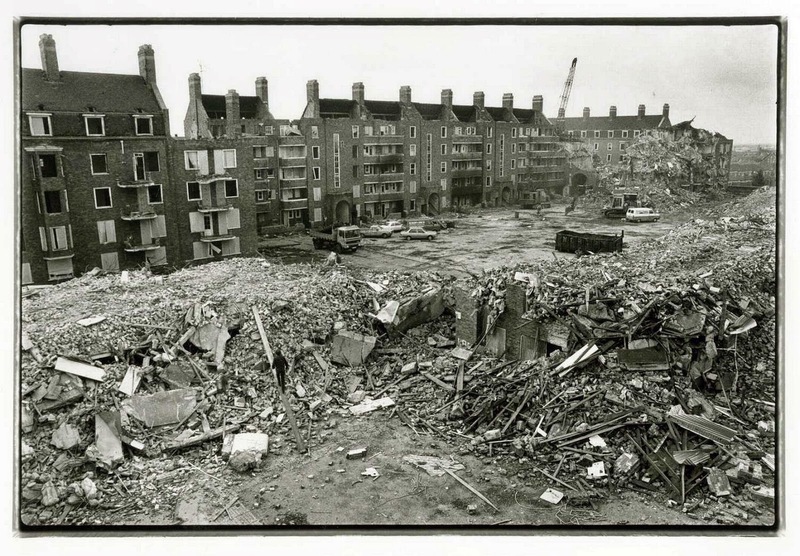 The flats were demolished in 1984-5 and despite having listed status, the Chapel of Our Lady Immaculate was demolished in 1990. Colour photo above (by Philip G Mayer?) 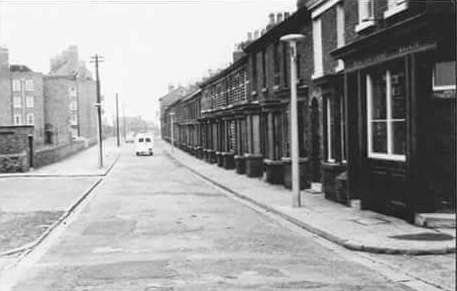 taken in the late 1960s :Looking east across St Domingo Road we can see STW on the right. 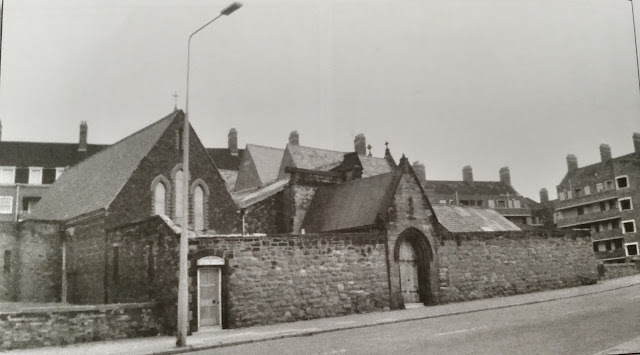 From left to right - The church of St Cuthberts which stood on the junction of Robson Street and Burleigh Road South until demolition in 1970, in the foreground is the short Hodder Street, then Calder Street, Carmel Street (where my parents-in-law were living when my wife was born in 1970), and Penrose Street adjacent to Tommy White’s. 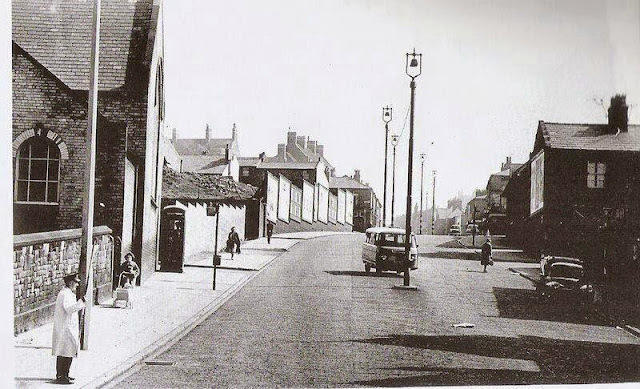 Carmel Street (Nos 3-23 on 12.1.68) - with housing typical of many streets surrounding "Tommy Whites". All would be cleared by the early 1970s. 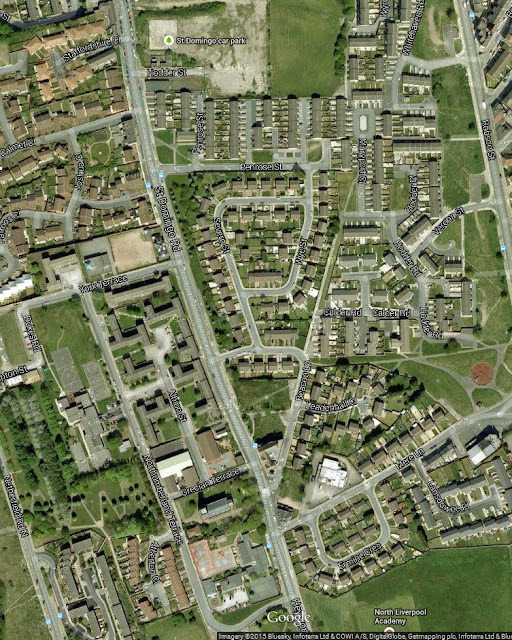 A new housing estate now occupies the triangular site of Tommy White's. Comparing today's map with the one at the start of this blog, the clearance of the surrounding "slum housing" in the late 1960s and subsequent redevelopment is all too evident. Beacon Lane for example, is a fraction of its former length. It was not only the Victorian Terraced streets that were cleared. In many cases whole areas of Everton were demolished, good housing with the dire, often with little thought as to what should replace them. In doing so, the heart was ripped out of the community who found themselves receiving compulsory purchase orders before being dispersed to new estates in Kirkby, Speke and Cantril Farm. 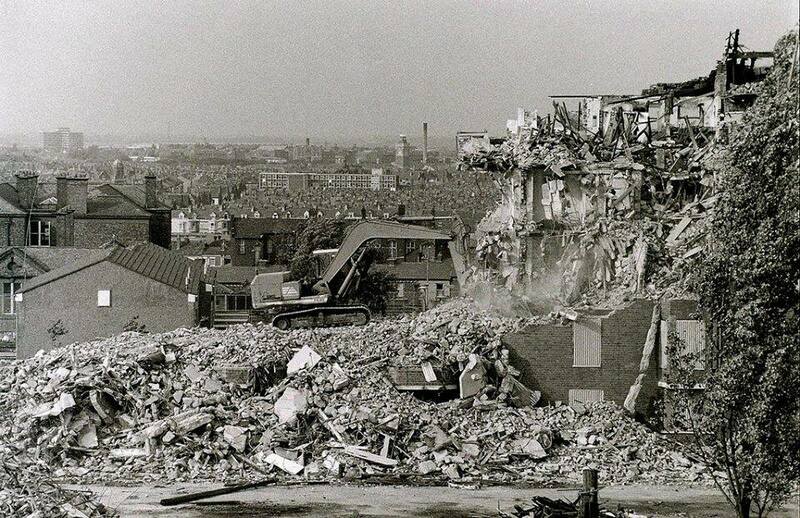 It is often said that the slum clearances by Liverpool Council caused a destruction greater than anything inflicted by the Blitz. Some of the cleared areas have only been built on in the last decade or two. Part of the problem was that with support from government grants, purchase and demolition was relatively cheap. However, during the 1970s and 1980s there were insufficient funds for rebuilding. 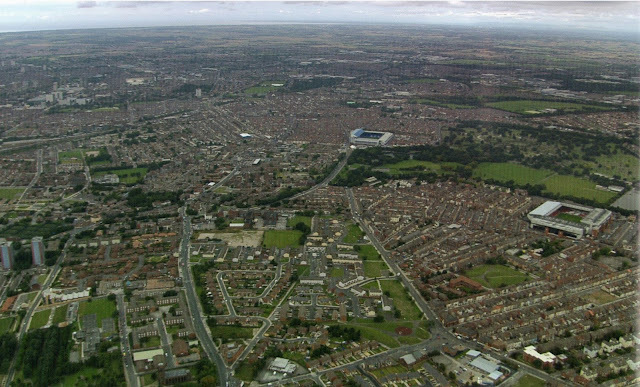 Whilst Everton remains one of the most deprived parts of Liverpool it has been redeveloped with masses of green space, and still enjoys the best view over the city centre to this day. Share your memories of "Tommy Whites" here! Thanks for your comments. I'm glad you enjoyed it .As you can see I have recently revised this post with additional comments and photographs. I hope you enjoy these too. All the best. 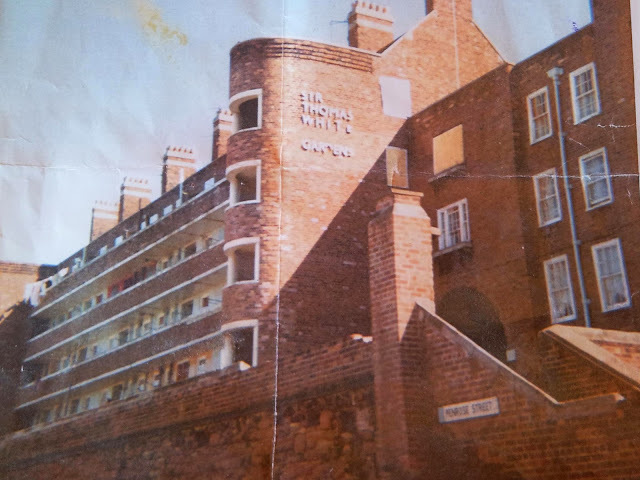 I lived in Tommy Whites as a small child (late 60s early 70s) with my nan Mrs Ellen Hoffman, we lived in the central square and had a flat with 4 bedrooms, one of which was over an arch leading to a side square, for the size of the flat the kitchen was tiny. When we later visited in the late 70s/early 80s we would always fret about having the car broken into and it was several times! I used to live in Severn Street and would walk home after church on Sunday evening with Jean; Marie and Paula Hoffman, to watch Sunday Night at the London Palladium on their television. They lived in the first block as you turned off St Domingo Road just behind Wye Street. 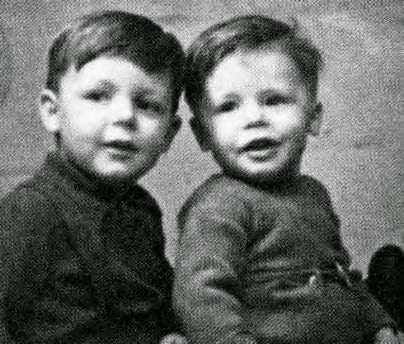 They also had Brothers George and Joseph - are you related? Yes George Hoffman is my dad. Marie, Pauline and Jean are my aunties. I lived in Tommy Whites in the 1950s until we moved in 1960, I think. I loved living there. The neighbours were "neighbours" then and looked after each other. We didn't have much but it was home. I have fond memories of being a kid there running around the square that led onto Beacon Lane. I remember Ainsley Dunbar's shop on the corner and that Eddie Parry from The Dennisons lived just around the corner. Everton Library was the place to be!